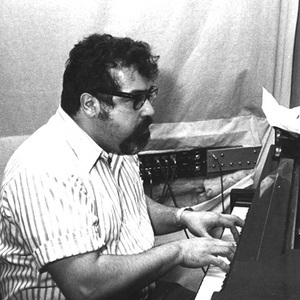 Charlie Palmieri, also known as "The Giant of the Keyboards" (November 21, 1927-September 12, 1988) born in New York City, was a renowned Bandleader and musical director of salsa music. He is the brother of Eddie Palmieri. Palmieri's parents emigrated to New York from Ponce, Puerto Rico in 1926 and settled down in Spanish Harlem, a Hispanic ghetto located in Manhattan. As a child, Palmieri, (who was born Carlos Manuel Palmieri), taught himself to play the piano by ear. Palmieri's parents emigrated to New York from Ponce, Puerto Rico in 1926 and settled down in Spanish Harlem, a Hispanic ghetto located in Manhattan. As a child, Palmieri, (who was born Carlos Manuel Palmieri), taught himself to play the piano by ear. He went to school in the city's public school system but, when he was 7 years old, his father enrolled him at The Juilliard School, where he took piano lessons. By the time Palmieri was 14 years old, he found himself with his 5 year old brother, Eddie participating in many talent contests and together they won many prizes. It was at this time that his godfather introduced him to the music of the Latin bands - an experience which inspired him to become a musician. In 1943, when still only 16 years old and still in high school, he made his professional debut as a piano player for the Osario Selasie Band. He graduated from High School in 1946, and immediately went to play for various bands. He made his recording debut with the song "Se Va La Rumba" as a member of the Rafael Mu?oz Band. In October 1947, Tito Puente, the musical director of the Fernando Alvarez Band, was impressed with Palmieri and hired him to play for his band at the Copacabana Club; here he played with Tito until 1953 and during the 1950s he played with various bands. Besides having played with Tito Puente, he played with Pupi Campo's Band and worked on Jack Paar's CBS daytime television show. Palmieri also formed a couple of bands which performed at the Palladum Ballroom - these were however shortlived because of a lack of work. During this time, he also worked as an accompanist for other bands. Palmieri worked for several years in Chicago, but returned to New York and formed a band called "Charanga La Duboney". While performing at the Monte Carlo Ballroom, Palmieri heard a young man by the name of Johnny Pacheco playing the flute - the playing so impressed him that he hired him on the spot. The mixture of Pacheco's flute with the strings of the violins in Palmieri's band led to the 1960s Charanga craze in the United States. Palmieri was signed by the United Artists Record company and had several Latino hits. Palmieri did however suffer various setbacks - first Pacheco left the band and then United Artists cancelled his contract because of a conflict of interest with their other recording star, Tito Rodriguez. This led to Palmeiri's signing with the Alegre Records label and with whom he had two best selling "hits" with "Como Bailan La Pachanga" and "La Pachanga Se Baila Asi". When the Charanga craze declined in popularity, Palmieri switched to the new trend, the Boogaloo, by replacing the flute and violins with three trumpets and two trombones, he also dropped the word "Charanga" from his bands name and it became renowned simply as "La Duboney". In 1965, he scored a hit with "Tengo Maquina y Voy a 60" (Going like 60) and in 1967 with "Hay Que Estar En Algo/Either You Have It or You Don't". In 1968, Palmieri recorded "Latin Bugalu" under the Atlantic Records label, which was also released in the United Kingdom. In the 1970s, Palmieri worked as the musical director for Tito Puente's television show "El Mundo de Tito Puente" (Tito Puente's World). He also taught and lectured about Latin music and culture at various educational institutions. After reorganizing his band, Palmieri played the organ and recorded "La Hija de Lola" (Lola's daughter) and "La Vecina" (The neighbor). In 1971, he provided his organ playing talents to some of his brother's recordings.